Tony Tam: Talking About Speakers, Playing the Blues Tony Tam makes distinctive, award-winning audio speakers. His company is called Delta Blues Audio.) His speakers are featured in The Dome. This is a rare opportunity to share Tony's knowledge and love for sound, music and the blues. Biofeedback: Before and After Music Before listening to music, the participant has a bio-rhythmic record created. Then, after listening to calming music, another record is created. The before and after results are then analyzed. 參加者將被邀請聆聽令人平靜的音樂，同時將被記錄前後兩次生物節奏。我們將帶領您分析這兩項數據! 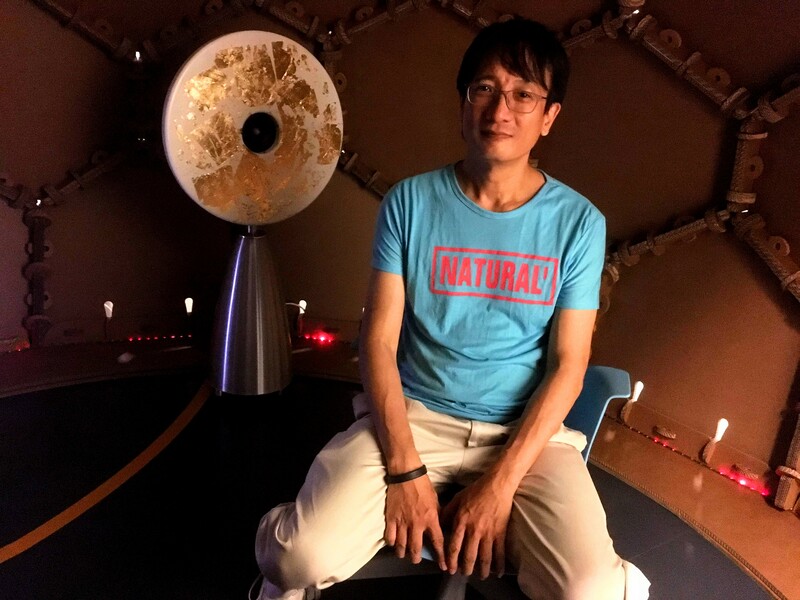 AR/VR: Artworks and Noteworthy Projects: Curated by Stephen Black 虛擬現實與增強現實：藝術品和令人矚目的作品 On Vive headsets and mobile phone viewing devices. 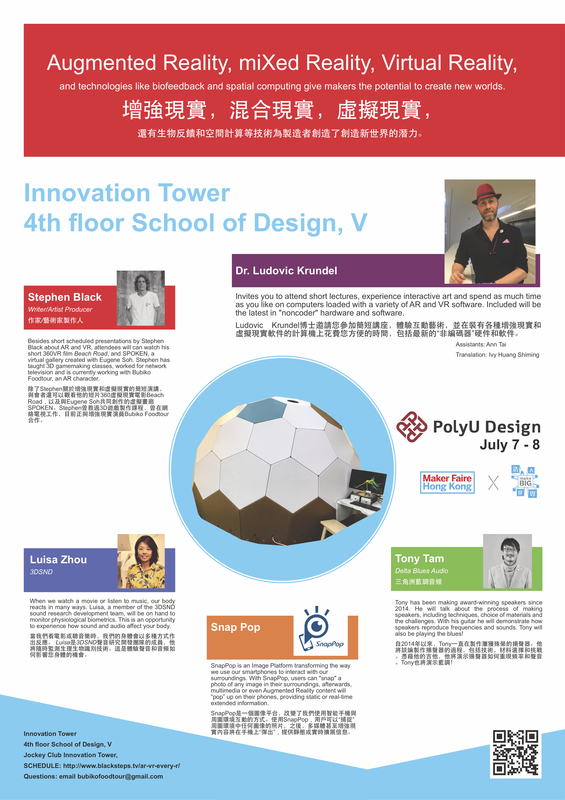 Films and projects by the United Nations, National Public Radio, Stephen Black, Poly U students, Eugene Soh and more. 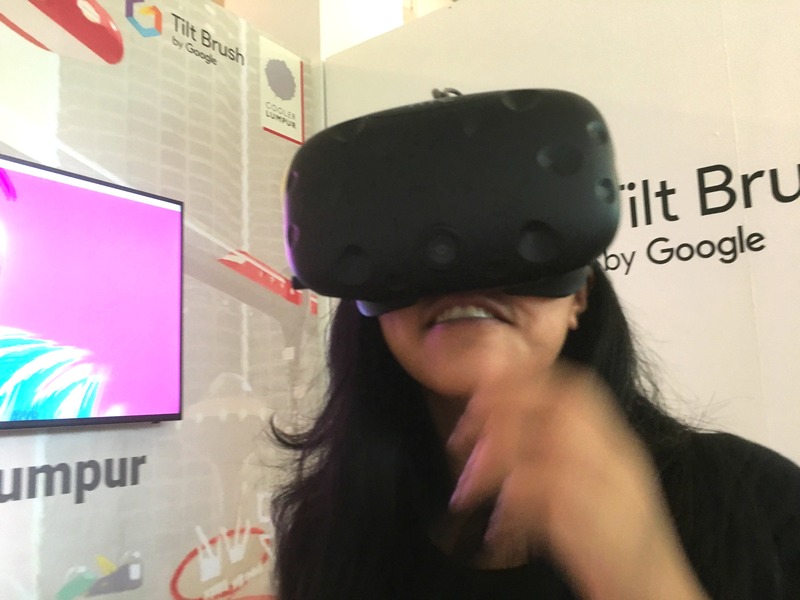 Featuring Storyhive, a new method of VR presentation by Hiverlab. 佩戴Vive頭盔和手機觀影設備；由聯合國、國家公共廣播電台、Stephen Black、香港理工大學學生以及Eugene Soh 等製作的電影和項目。Hiverlab將提供一種新的以Storyhive為特色的虛擬現實的展現形式！ Thanks to Giovanni Lion, for technical support. Gio's on this team: 3dsnd. Risk is what differentiates business from entrepreneurship, separates art from craft. It is said that the greater the risk, the greater the rewards. I hope this to be true: last year, my partner and I took the biggest risk we possibly could. 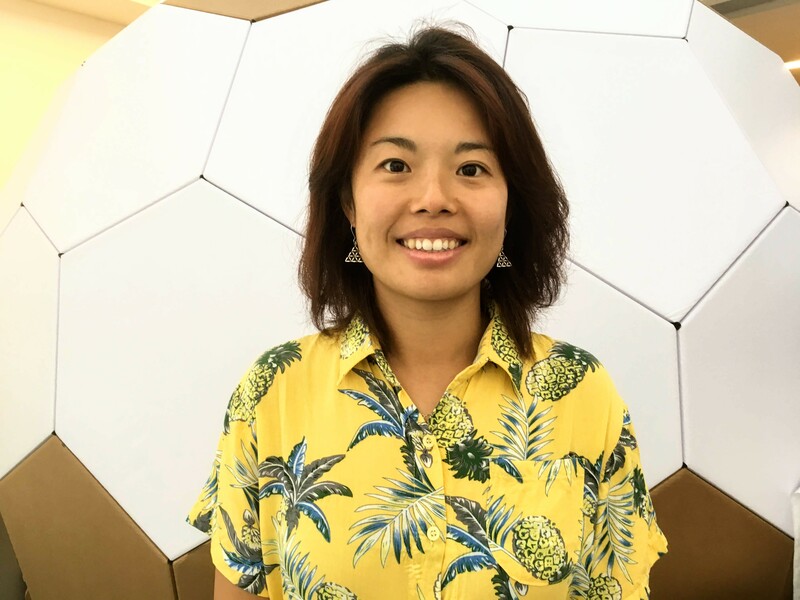 A visa complication presented us with a choice: we could return to our homelands or we could do a research and networking tour of Southeast Asia, focusing on food, AR and VR. We decided to tour. We had only the clothes we were wearing, no computer, no significant savings. No firm plan, only ideas. That was a year ago. - I have completed the first draft of Eating Where Orwell Ate, a collection of stories and essays about Singapore, Malaysia, Indonesia, Thailand and Myanmar. 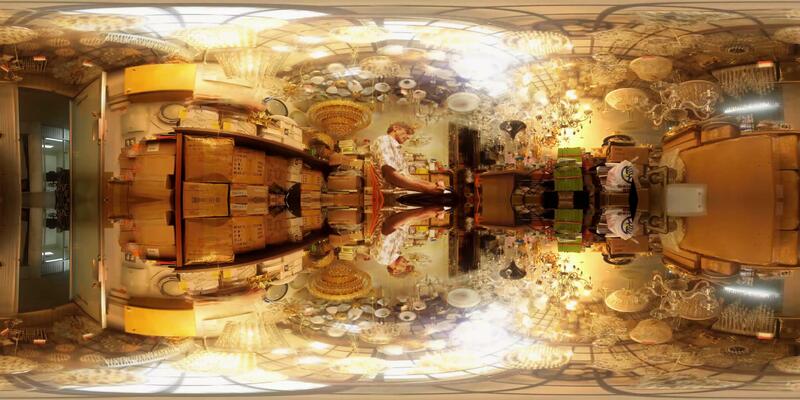 - We have a database of food, restaurants and culinary experiences. A sample. Bubiko Foodtour has been launched on her journey to AR superstardom. - We have established a physical and digital network of individuals, associations, companies and educational that are genuinely interested in AR. 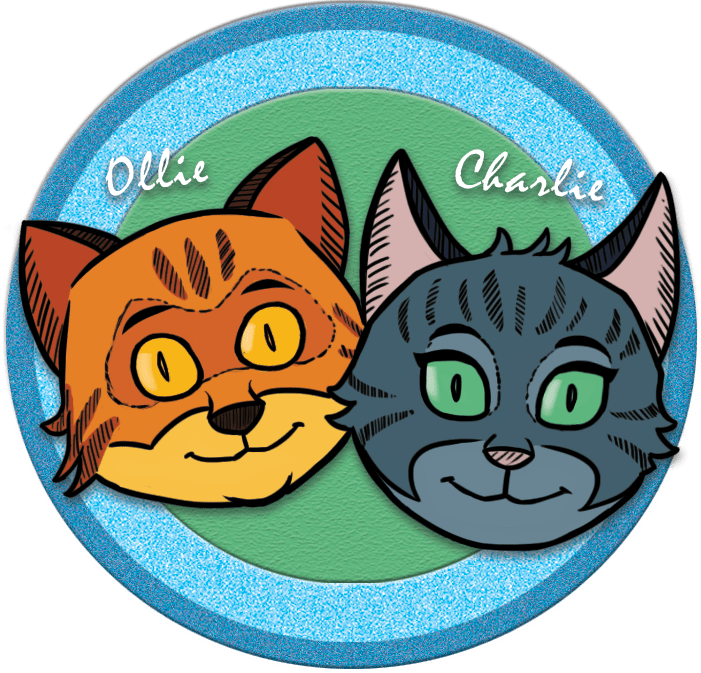 - We have characters! Bubiko Foodtour, Secret Donut World and The Dobots(with David Severn) and The Dundercats(with permission from the IP owners). - We’re finalizing the world’s first AR photo exhibition! In short, the past year has been extremely productive. I will be giving a presentation at the February session of the Sundowner networking event at the Sasin School of Management. Sasi is an AACSB and EQUIS accredited business school founded in 1982 through a collaboration among Chulalongkorn University and the Kellogg School of Management and the Wharton Business School. There will soon be over a billion AR-friendly phones and devices. 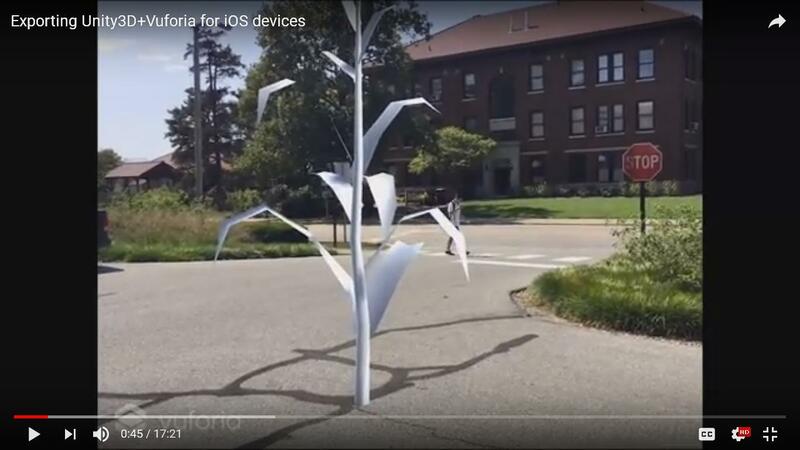 This presentation explains what AR (Augmented Reality) is, and discusses noteworthy projects, ideas, business models and artworks. The AR-related investments of Google, Apple, Microsoft, Epson and Facebook have created a frontier full of possibilities. Are you ready? An American who has spent most of his life in Asia, Black has worked for Fuji TV, France 2, Fox, CNN and Cartoon Network, as well as with exceptional musicians, artists and writers. 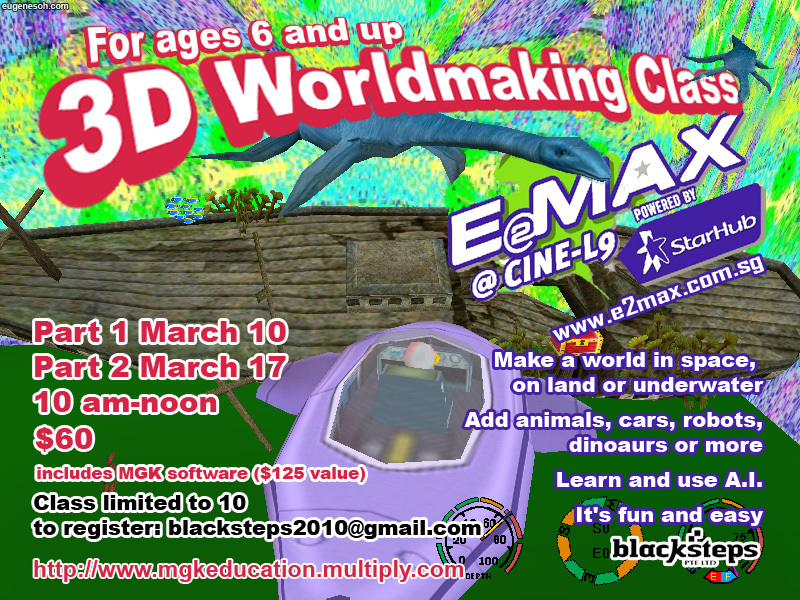 He is experienced with the creation of 3D games, and has taught gamemaking classes. He is also an established visual artist with a BFA in Photographic Illustration from the Rochester Institute of Technology. With Eugene Soh, Stephen curated SPOKEN, a virtual art exhibition. 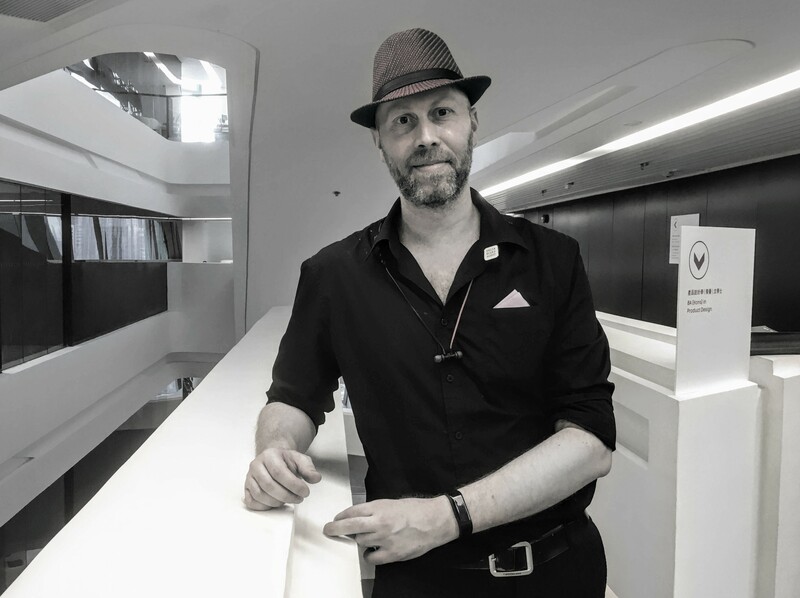 With hiverlab, he wrote, produced and starred in Beach Road, a 360 VR film which was featured at festivals in Brisbane, Las Vegas and Singapore. Stephen has written eight books, including i ate tiong bahru, a bestseller in Singapore. His next book will be Eating Where Orwell Ate, inspired by his 2017 Southeast Asian AR research tour. Its cover will feature AR. Di sini saya ingin mengucapkan terima kasih kepada semua orang atas layanan yang diberikan kepada saya pada pagi Jumaat yang lalu. 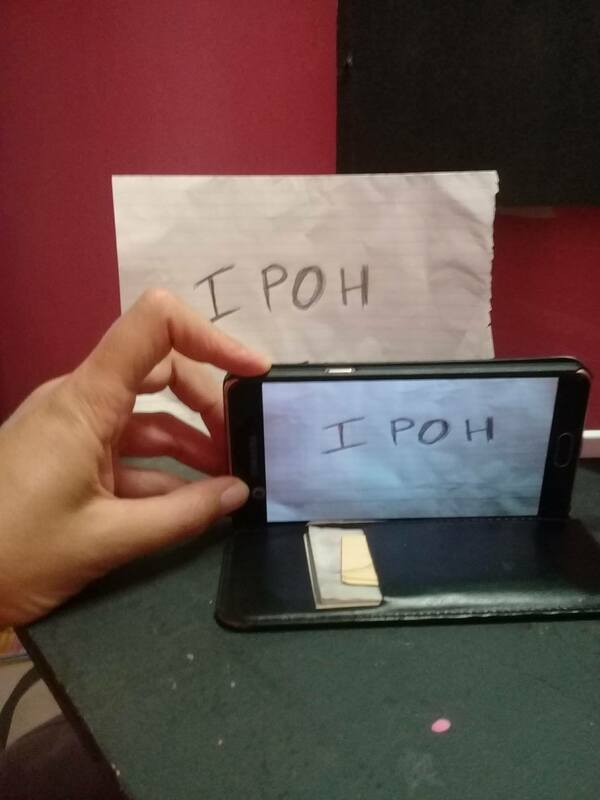 Saya amat bersyukur kerana diberi peluang untuk menyaksikan permulaan kepada identiti baru Ipoh yang lebih berkuasa. Semoga yang terbaik kepada semua yang terlibat dengan perjalanan ini. 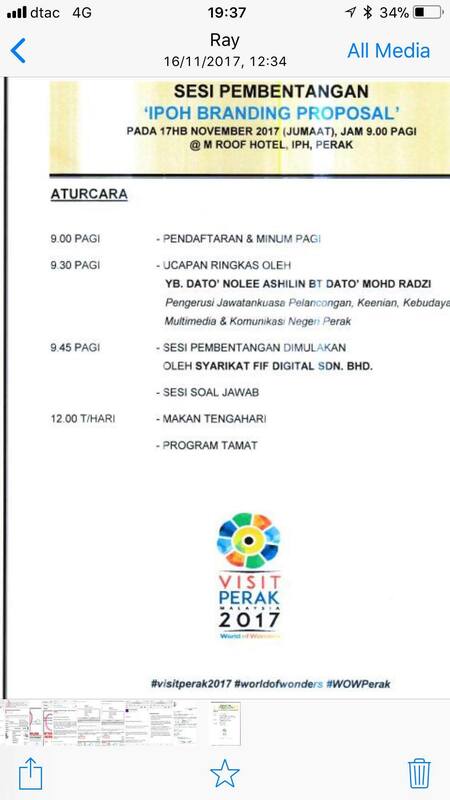 Berikut merupakan lakaran saya setelah sekian lama bekerja dalam bidang seperti : AR, seni, siaran televisyen, creative direction, tarian, pembuatan permainan, perfileman,promosi, VR dan menulis.“I Ate Tiong Bahru”, sebuah buku ditulis oleh saya merupakan buku terlaris di Singapura. Berikut merupakan ulasan dari Goodreads. Di Amazon. Audiobook.Kepada sesiapa yang berminat, saya boleh menghantar buku saya kepada anda dalam versi "ebook". “Beach Road” merupakan sebuah filem 360° yang ditulis, diterbit, dimasukkan sumber muzik dan dibintangi oleh saya. Ia dapat dimuat turun secara percuma di Google Play dan App Store. SPOKEN pula ialah sebuah VR hasil kerjasama dengan Eugene Soh, dan dibintangi oleh sekumpulan artis dan penulis yang bernama dan tidak bernama. 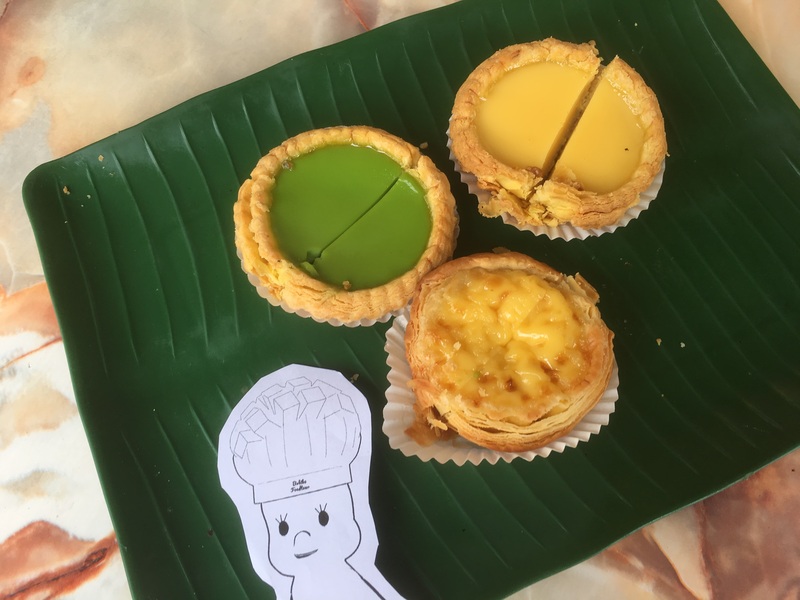 “Bubiko Foodtour” merupakan sebahagian dari projek 2 tahun yang melibatkan karakter 3D yang akan digunakan dalam AR dan media lain. Karakter 3D yang lain ialah “Secret Donut World” dan “The Doughbots”. Saya juga terlibat dalam penghasilan “The Dundercats”. Saya mempunyai “BFA in Photographic Illustration” dan telah membuat pameran di seluruh dunia((Rochester Institute of Technology)). Sebagai jurukamera pertama kepada “Tippling Club”, hasil kerja saya pernah disiarkan dalam majalah Times dan dalam sebuah buku yang berjudul “Coco”, yang diterbitkan oleh Phaedon. -Xu Xi, calon “2007 Man Asian Literary Prize”, member ulasan beliau pada “Bus Stopping”, sebuah buku fotografi saya tentang Singapura. Selain itu, buku tersebut juga menerima ulasan daripada Stelarc, seorang artis ternama yang menghasilkan karya daripada mesin; Cyril Wong, seorang penyair yang terkemuka di Singapura dan Shuhei Takahashi, seorang pengkritik fotografi dari Jepun yang berpengaruhi. Kebelakangan ini saya telah membuat kajian dengan penyiaran Facebook Live. Siaran langsung 72 jam yang pertama telah dijalankan di Abby Hotel manakala 60 jam yang seterusnya di Symphony Suites Hotel. 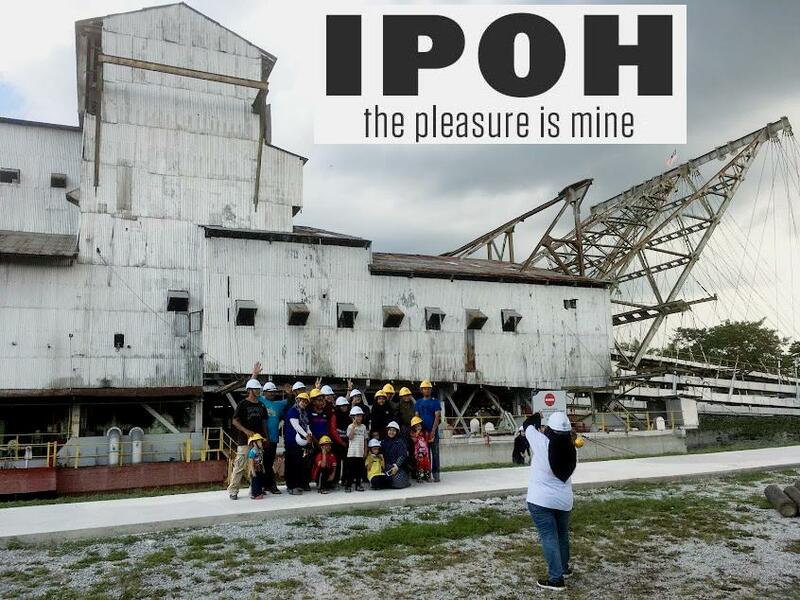 Akhirnya saya hampir menyiapkan pameran foto AR pertama di dunia yang berjudul “About Ipoh!”. 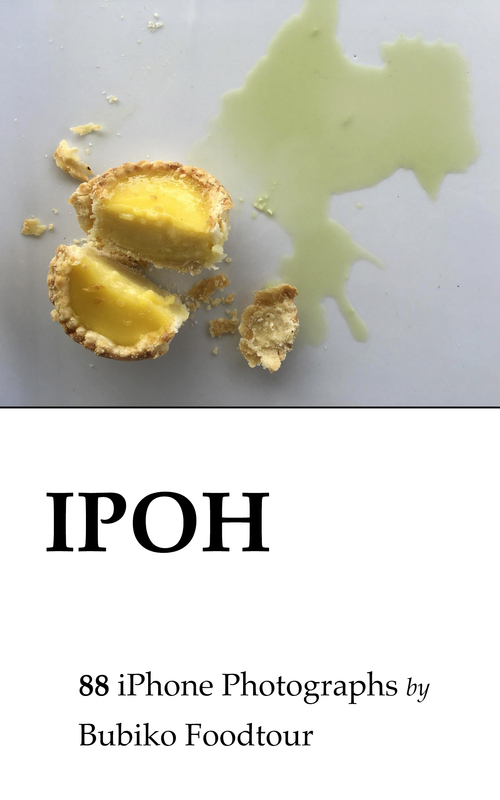 Sepanjang perjalanan ini saya telah menikmati keindahan Ipoh secara dekat dan sangat teruja untuk menyampaikan keistimewaan Ipoh ke dunia! Di sini saya berharap anda akan menikmati kajian ini. Sila ambil perhatian bahawa hasil kerja saya telah dibuat menggunakan iPhone dan mempunyai reka bentuk yang mudah kerana saya cuma boleh menggunakan Microsoft Paint! PS I should also thank Liew Sunchin/Abby Hotel and Ray Ng/Hotel Lotte. I would like to thank everyone for the hospitality shown to me on Friday morning. 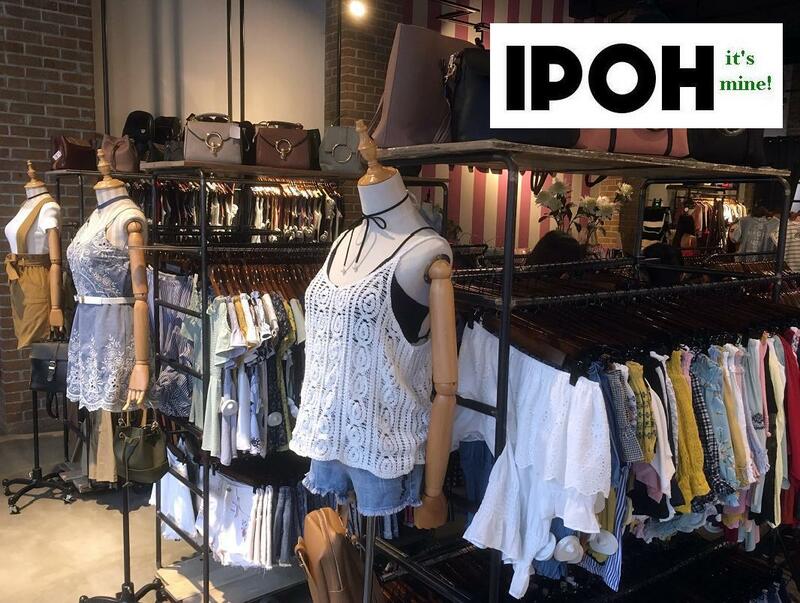 I truly enjoyed watching a powerful, new Ipoh/Perak brand being formed. I wish everyone all the best with this exciting project.I should also thank Liew Sunchin/Abby Hotel and Ray Ng/Hotel Lotte. The following digital doodles reflect years of experience in areas like: AR, art, broadcast television, creative direction, dance, gamemaking, movie making, promotion, theatre, VR and writing. One of my books, i ate tiong bahru, is a national bestseller in Singapore. Reviews on Goodreads are here. On Amazon. 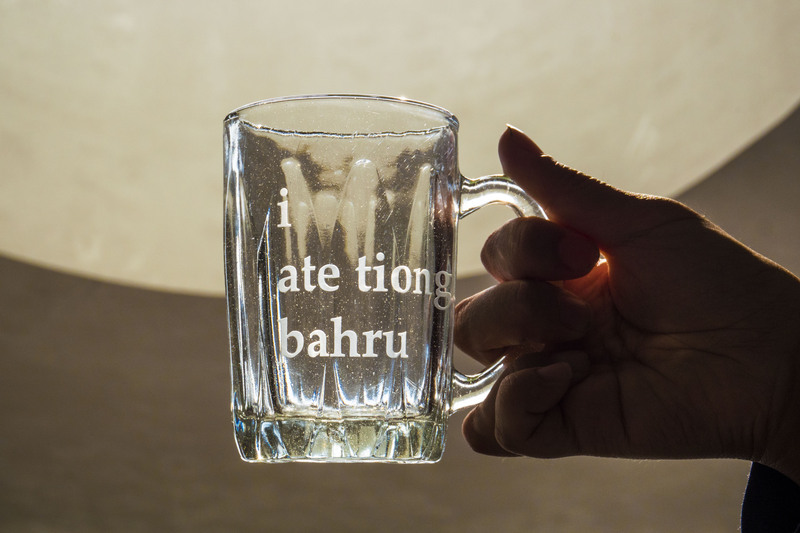 Audiobook version.I will be happy to send you a free ebook version of I Ate Tiong Bahru. Beach Road is a 360 film which I wrote, produced, sourced music for and starred in. It is available as a free download on Google Play and the App store. SPOKEN is a VR co-production with Eugene Soh, and features an international mix of known and unknown artists and writers. Bubiko Foodtour is a part of a two year plan involving 3D characters that will be used in AR and elsewhere. Bubiko did the photography for this ebook: Other characters are Secret Donut World and The Doughbots. I am also involved with The Dundercats. I have a BFA in Photographic Illustration(Rochester Institute of Technology) and have exhibited worldwide. As the first photographer for Tippling Club, my work appeared in Time magazine, as well as this book published by Phaedon: Coco. – Xu Xi, 2007 Man Asian Literary Prize nominee, commenting upon Bus Stopping, my book of photographs about Singapore. The book also features comments from also features comments from Stelarc, the legendary robotics artist, Singapore Prize winning poet Cyril Wong and Shuhei Takahashi, an influential Japanese photography critic. Lately, I have been experimenting with durational Facebook Live broadcasts. The first was for 72 hours, at the Abby Hotel. The second was for 60 hours, at the Symphony Suites Hotel. 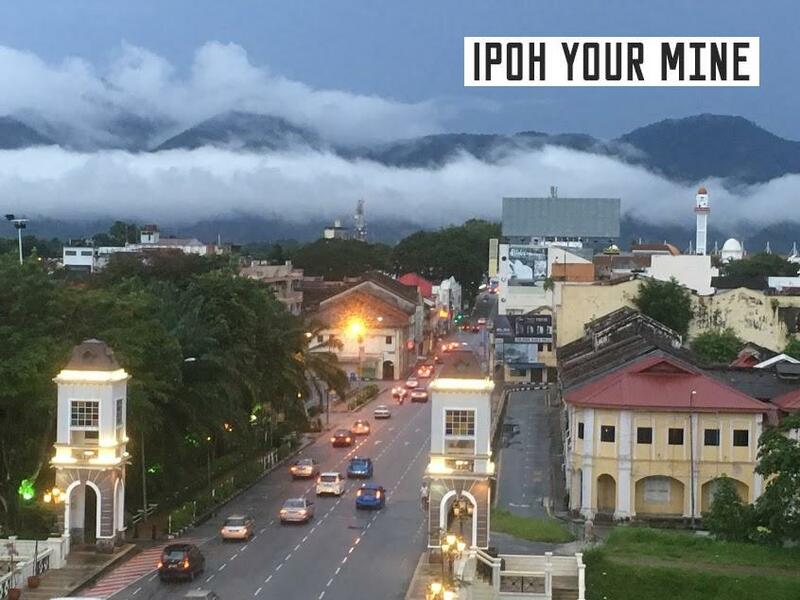 Finally, I have almost completed the world's first AR photo exhibition: about Ipoh! 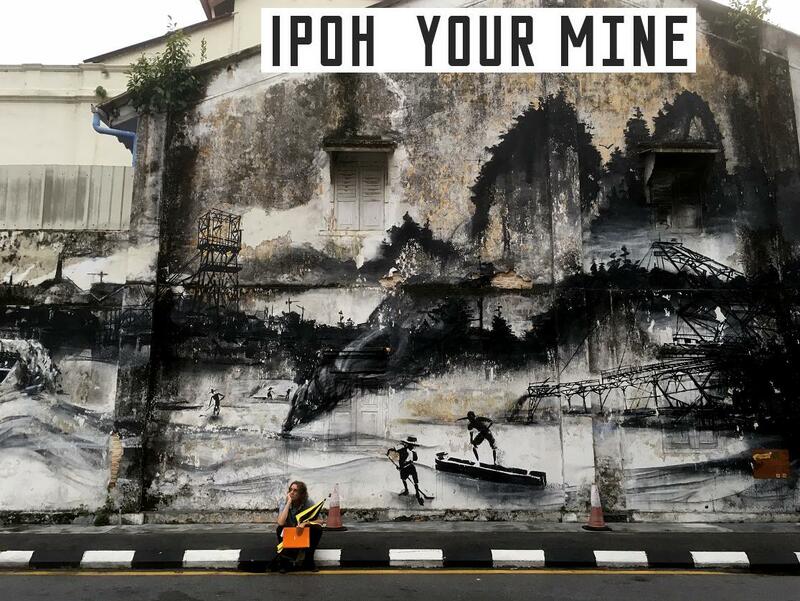 I have jumped into Ipoh wholeheartedly and am excited about communicating Ipoh's personality to the world! I hope you enjoy these experiments. Please keep in mind that they were created with an iPhone and very, very simple graphic design: I only used Microsoft Paint! The second part of this three part series is here. 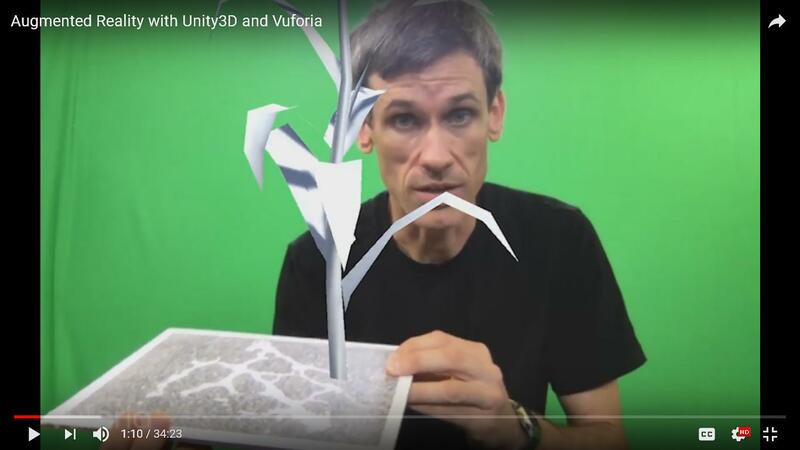 Unity 3D: 2D Size in AR…? Fabian Winkler was kind enough to reply and his answers appear below. FROM FABIAN WINKLER: About your question: there is a proportional relationship between 3D model file (or slideshow images) and the image target that triggers it. You set this up in Unity where you can scale the 3D/image content in relationship to the size of your image target, this relationship will remain the same if the image target is detected in a real-world application. 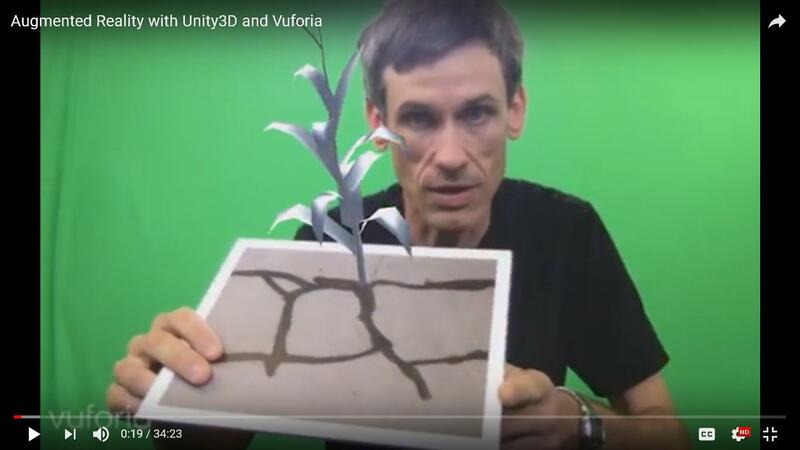 For example, in the stills that you posted from my video: the size of the corn stalk has not changed in Unity, only the image target was much larger in one case (in the actual location on site - the cracks in the cross walk on campus) than in the other (a smaller print out of the same cracks) - thus the corn stalk also got proportionally scaled. I would like to thank Fabian Winkler, for the videos. I was happy to discover his artworks. 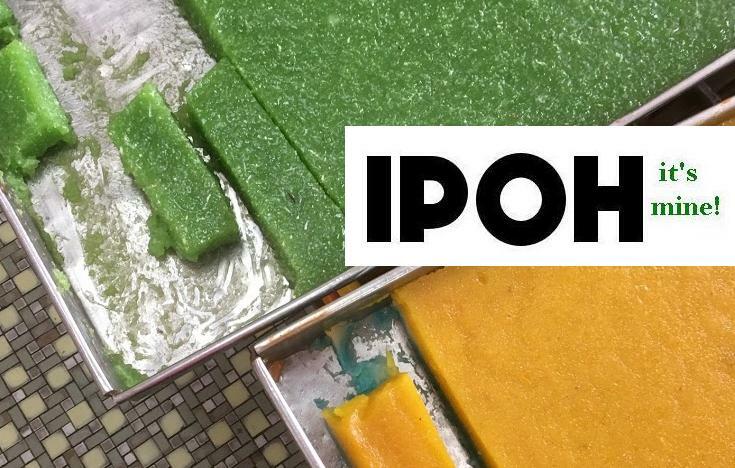 Oh yes, if anyone would like to download a beta work-in-progress of the Ipoh photo exhibition, it's here. I'm bootstrapping my AR startup. The bootstraps are frayed; my boots have no heels; they've been pounded against the pavements of Southeast Asia. I march without a laptop; using internet cafes and the computers in hotel lobbies. 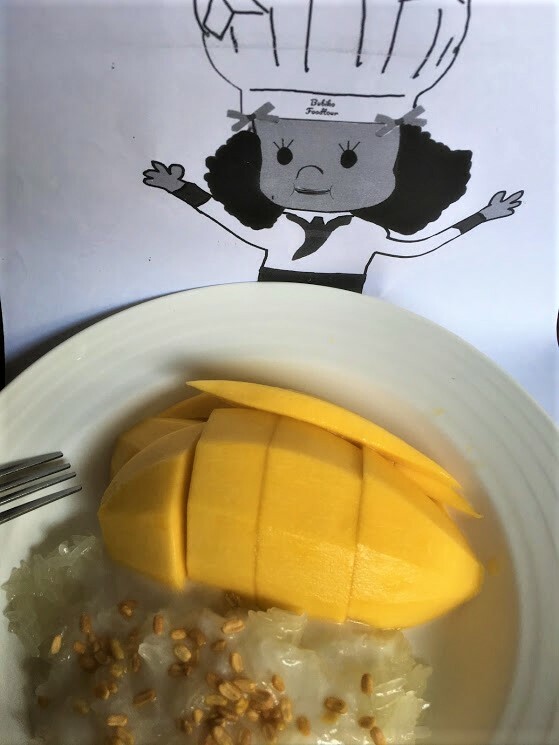 My partner and I are researching the foods of Southeast Asia; one of our AR characters is Bubiko Foodtour, a little chef. Bubiko is on her way to becoming AR's first superstar. Goal: become the Pixar of AR: original characters and software. First project: an AR photo exhibition of Ipoh, Malaysia. Why? I have a BFA in Photography, have published a book of photos and have exhibited photos, art and video around the world. Secondly, photos result in smaller file sizes than 3D models. Finally, with very limited time and budget, it's better to learn the realities of producing an AR project with the simplest project possible. First mover advantages--and challenges-- belong to first movers. What a mess! I am introducing the AR photo exhibition to people who are trend conscious and cosmopolitan. However, AR is either unknown or confused with VR."Oh... the thing you put on your head, right?..." I've introduced AR to staff at Apple and Samsung stores. At this point I have no mock-up, so for examples, I use Pokemon and the idea of holograms. My presentation also includes links to videos like this and this. I write to the developers, fellow AR practitioners, potential investors, potential artistic collaborators, potential sponsors, potential distributors, potential business partners, bloggers and publicists. Some days are nothing but emails. Very necessary, all of this, but also a major use of time and energy which doesn't immediately translate into production. Checking, checking and checking again. Has someone done this before? Why has this bug only shown up once? 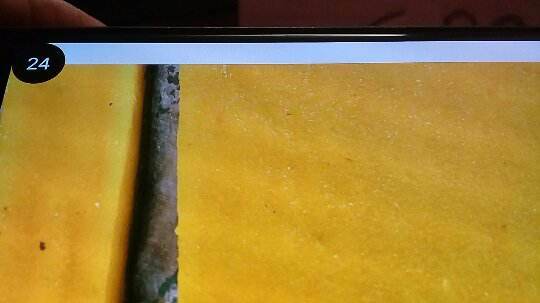 How big will the photos appear? The border of "visible reality" surrounding the images: how big should it be? How to best prepare for the variety of tablet and mobile screen sizes? - Beach Road, the 360 movie I produced with Hiverlab, was nominated for Best Experimental film at the 2016 VR Fest Las Vegas, and featured at the 2015 Brisbane Film Festival. -established Book Merah, and have written, published/epublished eight books including one bestseller, i ate tiong bahru. -worked as creative director for Compudia/Walker Asia, a company doing ahead-of-its-time CG VR (gaming), as well as a platform like Youtube-3 years before Youtube began. 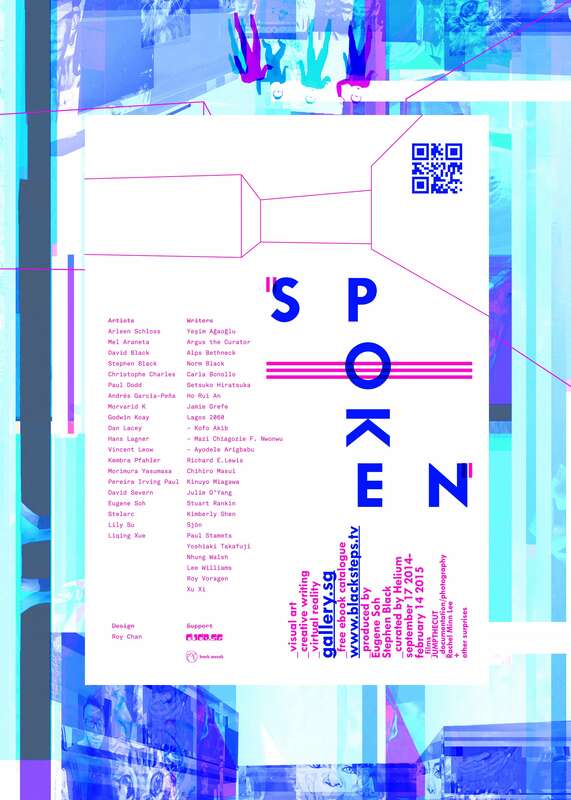 - Curated an international assortment of very well known, and unknown artists for a critically well-received virtual gallery called SPOKEN. This was a co-production with Eugene Soh. -directed and co-produced Kiss, a short film featuring legendary Japanese actress Kumiko Akiyoshi. The four minute film was divided into three segments and shown at a very small size due to the technical limitations of the internet at the time.It received over 3 million views inits first three months of being online. 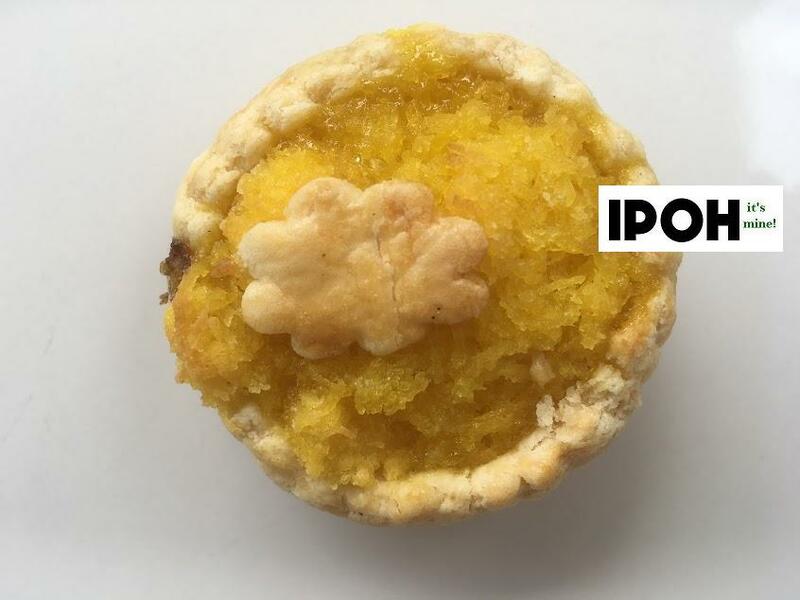 -Firsts in Singapore: first Singapore-made ebook on Amazon, first Singapore-based Kickstarter project, first piece of edible food art in Singapore, first 360 movie. -In SPP, an artspace co-produced with Barae, held the Japanese premiere of Wax, a movie by David Blair, which, according to the New York Times, was the first full length movie to be transmitted on the internet. All of the above situations and projects were "ävante garde",or "cutting edge" or "at the forefront of technology and creativity". Some were opportunities for art-creation, some were economic opportunities. Now, of course, it is 2017. 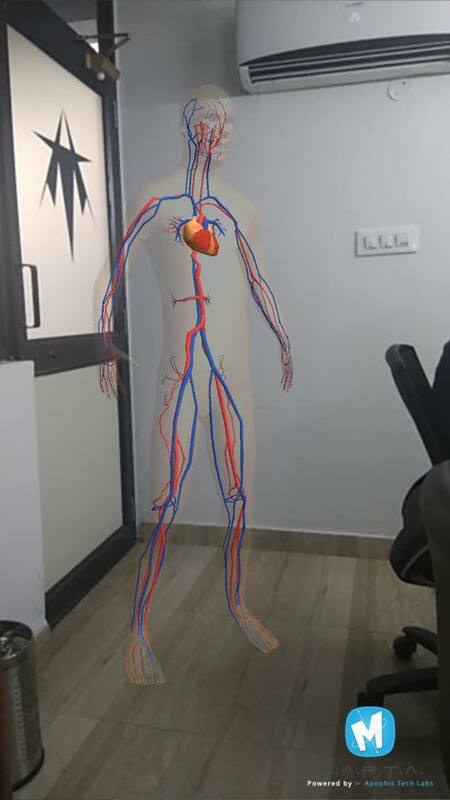 Augmented Reality is soon to be making an impact on our lives, just as social media and GPS have. I am excited and prepared to use my experiences to create in AR. If anyone is interested in doing something with AR, get in touch. It doesn't matter if your interest is in art or business related. At this moment, the most important thing is to get first-hand experience in the creation of an AR experience. For businesses, this means the international marketing and promotional advantages that come with being a first mover. For those on the creative side, this is the opportunity to work with a new art form. I have been researching and preparing for a long time and now I want to make something, goshdarnit! July 2, 2017. The I Love Penang Carnival, held in Central Park, Bandar Utama near Kuala Lumpur... Besides sampling food, the excursion was a way of uniting three projects of mine. First, Bubiko Foodtour tests were conducted for AR models and photos taken for her blog and Instagram accounts. Secondly, I created images with an iPhone, continuing a lifelong interest in conceptual fine art photography. Finally, the total experience will be the basis for a story or essay in Touching JB, my latest book project.